The new Satan 2 has largely the same capabilities as the Satan: Both missiles can reach the East and West coasts of the US, both can travel miles in a single second, many times quicker than the speed of sound, and both can carry multiple independently targetable warheads. Both missiles also use a mixture of liquid fuel, a less stable, more volatile configuration than the US’s preferred solid fuel weapons. Neither missile can be stopped by the US’s existing missile defenses. Only, with the introduction of the Satan 2, the electronics, targeting, and reliability will noticeably improve over the former missile. 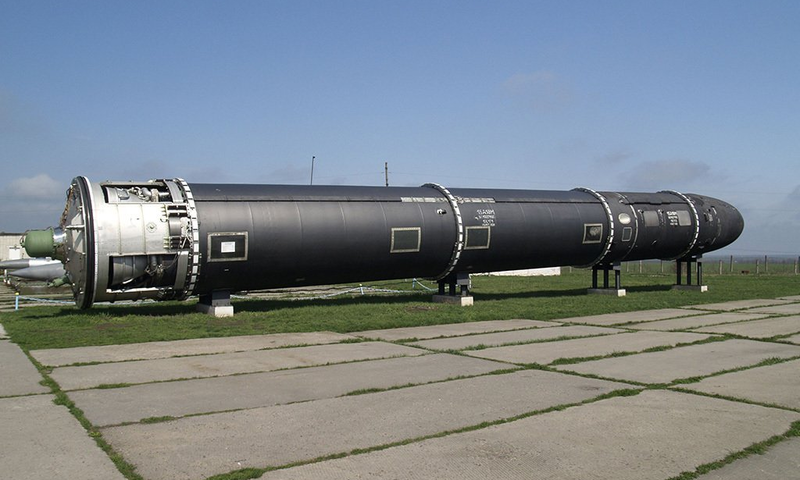 According to Dr. Jeffrey Lewis, founder of Arms Control Wonk, Russia’s newest nuke doesn’t just threaten international stability, it is itself unstable. 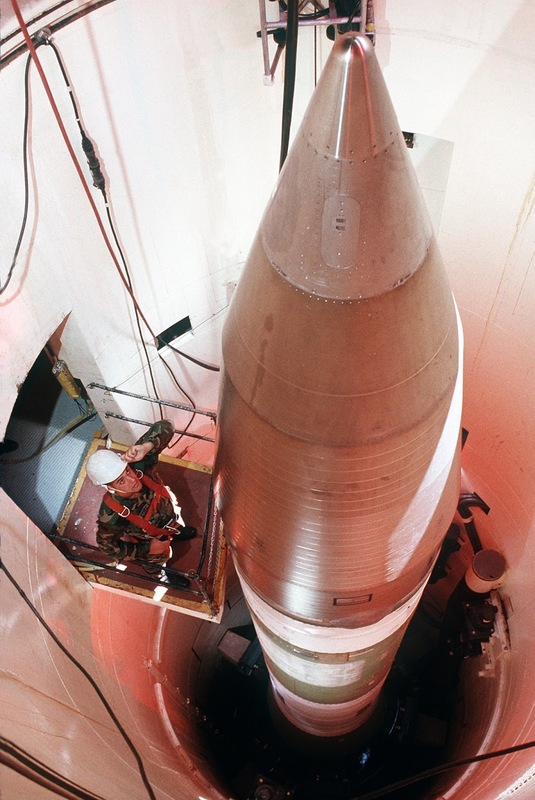 A Minuteman-III missile in its silo in 1989. “Russians love liquid fuel so much,” said Lewis in an interview with Business Insider. “In the US, we don’t think liquid fueled missiles are a great idea. They’re dangerous,” said Lewis. “One exploded in Arkansas and blew the silo top off and threw the warhead a far distance,” almost causing a disaster, said Lewis. So why then do the Russians prefer this dangerous fuel type? “The advantage is, you can put a whole bunch of warheads on them,” said Lewis. Indeed, having multiple nukes on a single missile makes Russia’s nuclear arsenal very potent, but also destabilizing. “If you put all your eggs in one basket (weapons on one missile) it makes a really tempting target. [The US] like[s] to spread our missiles out across many missiles,” said Lewis. The US places its nuclear arsenal on individual missiles spread out across many bases and platforms. In fact, Russia’s commitment to these missiles may just be Moscow spinning its wheels, according to Lewis. “Russia has a number of missile design bureaus, not just one.” Each of these bureaus specialize in a different type of missile. This creates a situation where the bureaus constantly dream up new missile ideas, and Russia sometimes takes them up on these proposals. Lewis suggested that the new missile, with its limited improvements on the older system, may not entirely be a strategic move, but also a bureaucratic one. Russia may have simply seized this opportunity to again brandish its nuclear power at a time of peak tensions with the West. So while Russia’s newest nukes have an absurd, diabolical offensive potential, they demand constant attention and protection. For actors looking to knock out Russia’s nuclear arsenal, they have fewer missiles to worry about neutralizing. 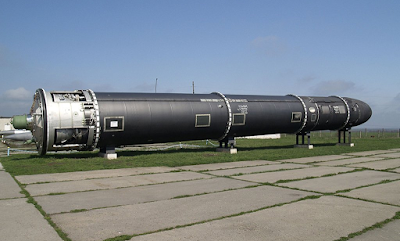 For the Russians looking to maintain the nuclear arsenal, Moscow now has dangerous liquid-field missiles to maintain with costly maintenance for decades to come.